New memeber - Just Got My New Trident maple !! Hey everyone you guys said you like to see it when i got him here he is !!! one sad thing and is a guestion during shippin a little branch tip broke !! im guessin this is prob ok and hope he wont die or anything from it but it was only a inch long and had what looks like one of the leaf starters on it. Will he be ok ?? Hey bonsaidude congrats on your new tree!! thank you very much and always will take any tips i love them i cant wait till spring !!!! and im going to make them a rock pot maybe to stick them both in it togther one day ( idk if u saw my chinese elm ) but since im going to give my elm a dormant period this year i can leave them out togther and when its time to bring them in it be about the same time im guesin. Anyone against rock pots ? and would a elm and trident do good together ? I'm concerned that your new tree is going to break dormancy too soon. Once it does lighting is going to become an issue. Are you prepared to provide it with supplemental lighting? Even if you are there is the issue of what will happen when you do eventually put it outside. The new leaves that grew indoors in a low light environment may not be able to continue functioning in natural daylight. i have a light syestem set up 100 wat equv compact florecent if it comes to it would i gues its cross my fingers and hope i also have that 100 wat plant light incodecent. it stays pretty cold in that room shades down all day door closed and no sun gets to it do to the side of the house so its never warm enough for u to even want to stay in there. i could do the basement but my dad smokes cigs down there and its not finished so it might not be best air eviorment for him, and the porch gets full sun all day so it can get warm in there. if he breaks should i give him a 16/8 light schedule around that ? Dude, I'm concerned with a number of issues raised here - but I'm glad you are open to advice. Elms and maples are not indoor trees, certainly not 'tropicals'. They should be outdoors. They need to go dormant in winter, not be kept at indoor temps., and with dry air. That is not their normal environment. I would also warn against potting the two together in one pot, as their watering requirements are quite different. Learn more about the different trees. Learn all you can, join a club, take classes and workshops. I don't want to sound negative, and am thrilled to see your enthusiasm. 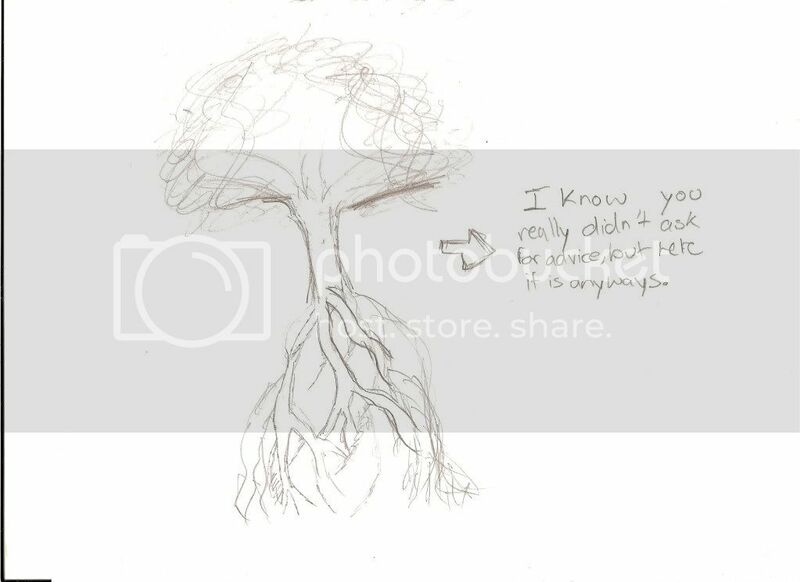 But I want to caution you, and encourage you, not to kill your trees, and your experiences. PS - trident maple make wonderful bonsai !!! ya i kno i wish the elm could have had a dormant time but i bought him at a place that kept him in a green house so ive been just tryin to take care of him till spring get him out side and then fall comes deff going to let him go dormant. Ya i been doing some research and noticed the diff watering for the two so i wont be putting them togther. Also the trident seems to being good in the cold room of my house and hasent broke dormancy. OK to go. Soon you will want to develop some wiring skills. The future shohin trident will need to be styled. Are you sold on the 'broom style' idea? ya and i looked up when to wire a tirdent maple and seem to be during the growth period this correct ? the elm im not to sure about tho during dormant or growth ? For most deciduous trees late winter is OK - just before bud burst - being very careful not to harm them. Have you wired before? It's an important aspect of bonsai development, and usually takes years to master. It would be wise to acquire several 'practice trees' to play with. Dig up some wild shrubs and wire them. Sounds goofy - but it is good advice. And BTW - you asked earlier about the rock planter. It might be better for the elm, as it drains quickly, and elms do not like soggy feet. Keep the trident in the plastic training pot for awhile. It needs to grow out and thicken. No that sounds awsome man i don't not have any experience in wirin at all so im goona do that thanks for the tips !! !